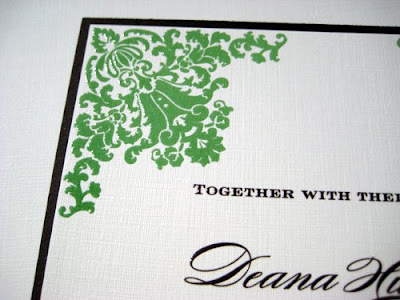 I was so excited when Deana contacted me about ordering the damask corner invitation set. I had just designed it and therefore she was the first person to order it and she was so sweet to work with. 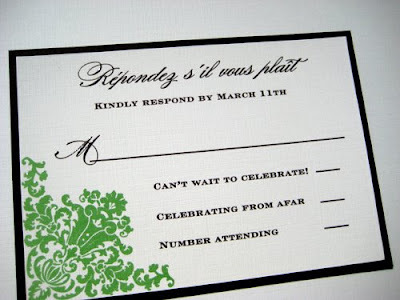 Deana & Kareem chose thermography printing in moss and chocolate. Instead of a printed border, Deana chose a chocolate card stock backing. The font combination is Burgues and Copperplate which is quickly becoming one of my all time favorite duos. Deana also chose digital calligraphy in burgues (not shown above). 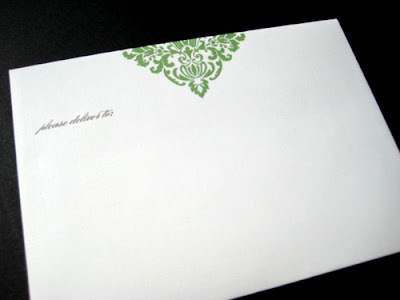 The envelope design printing + the digital calligraphy really looked gorgeous. 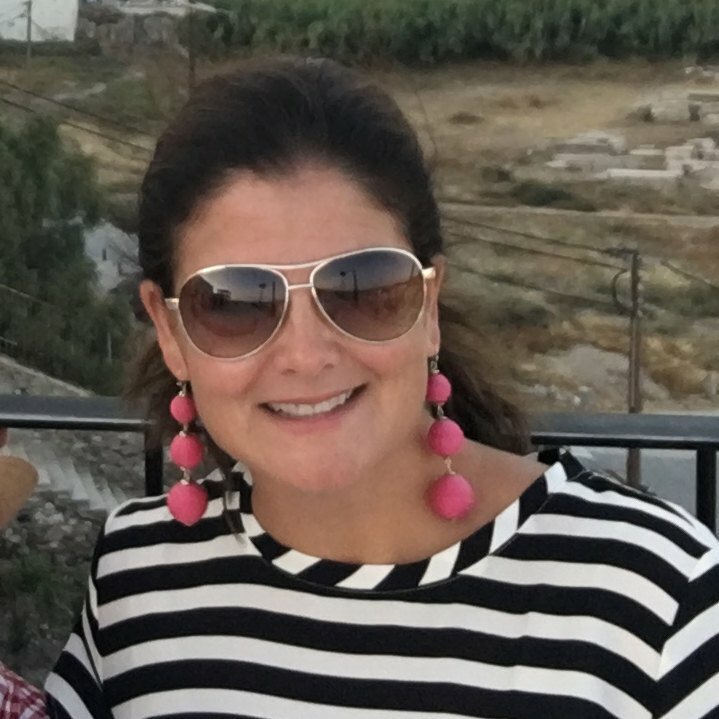 After receiving her invitations in the mail, Deana wrote me the following email: "I want to thank you so much for all your help with the invitations! They turned out great! I just mailed them out yesterday and I know my friends and family will love them! You were great to work with! Thanks again!"